Previously, you were only able to have results emailed to an administrator. 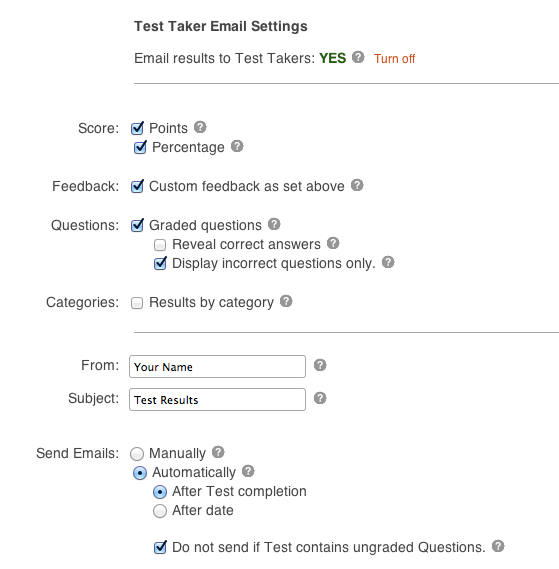 However, you can now have quiz results emailed to test-takers as well. There are options to send out the results automatically or manually - if wanting to specify a certain date and time emails are sent. 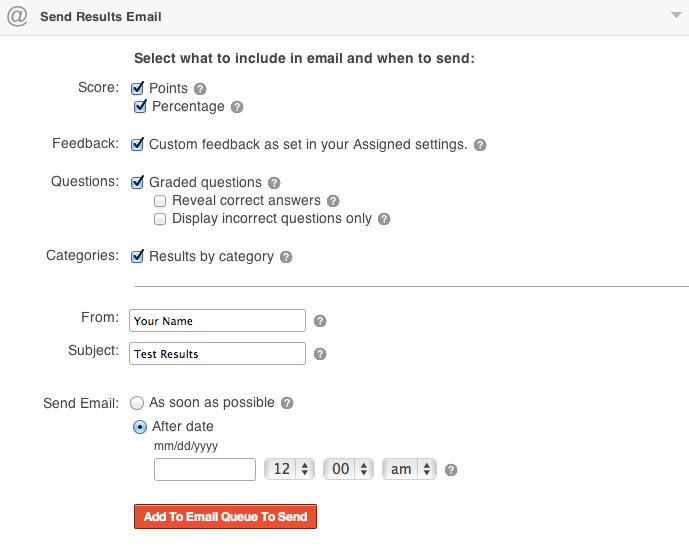 When assigning a test, or editing existing assigned tests, you can set to have results emailed for future test-takers. If you have a certificate available to download, these results will also include the certificate download link. On existing individual results pages, you can select to send test-takers their results manually, which will include the certificate link (as long as an email address is saved for the test-taker). Please Note: Registered students need to have an email address registered to their account, and, tests assigned via Links need to choose the option to save the Test takers email, in order to receive the test results. Send certificate download links in results: Certificate links will be included in emails if they are set, so users can download them. If they are set to only display on passing, then they will only be in the email if they pass their quiz. Send results from old and new tests: You can go in and manually send results from old tests via the results pages of those tests as well - so old and new test results can be sent out.